More and more employers are using freelancers and independent contractors in the 21st century than ever before. With the technology now available, employers can make use of specialized services from freelancers across the country or across the world. Small businesses also frequently employ independent contractors to keep costs down. What happens though if an independent contractor or a freelancer is injured on the job? Is an employer required to carry workers’ compensation on you if you are a freelancer or an independent contractor? 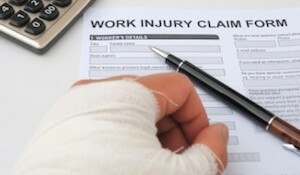 Whether a worker is an employee or an independent contractor is a frequently disputed issue in workers’ compensation cases. In the United States, each state has its own workers’ compensation system. In all states, however, an employer is responsible for injuries or illnesses suffered by an employee during the course of employment. Typically, an independent contractor is not an employee and, therefore, is not covered under an employer’s workers’ compensation policy. What makes one worker an “employee” and another worker an “independent contractor”? State workers’ compensation systems have struggled with this question for years with varying results. Misclassification of employees as independent contractors is an increasing problem. When in doubt, employers often classify a worker as an independent contractor or freelancer because there is a significant financial incentive to do so. Workers’ compensation insurance premiums, for example, are based in part on the number of employees an employer employs. Classifying workers as independent contractors lowers a company’s insurance premiums. Just because an employer pays you with a 1099 and classifies you as an independent contractor does not mean you are an independent contractor for purposes of workers’ compensation coverage. Does the company control or have the right to control what the worker does and how the worker does his or her job? Are there written contracts or employee type benefits (i.e., pension plan, insurance, vacation pay, etc.)? Will the relationship continue and is the work performed a key aspect of the business? Generally, independent contractors are skilled individuals who work on their own, set their own work hours and provide the tools and supplies needed to do the job. An independent contractor in Georgia is not entitled to benefits unless he or she has purchased their own policy. Georgia’s worker’s compensation law makes primary contractors responsible for insurance on the subcontractors, if the subcontractors do not carry workers’ compensation insurance. To clarify the issue and prevent problems down the road, it is best for a worker and employer to execute a written contract that defines the relationship before starting work. In the absence of a written contract that defines the roles, courts often side with a worker who has filed for workers’ compensation benefits if it is unclear whether the worker is an employee or an independent contractor. If you have suffered a work-related injury or illness in Georgia and your workers’ compensation claim was denied or you are unsure whether you are entitled to workers’ compensation benefits, an experienced Georgia workers’ compensation attorney will explain the workers’ compensation rules as they apply to your situation.